Nintendo has recently announced their intention to introduce a Tetris game that is specially designed for the Wii and Nintendo DS. 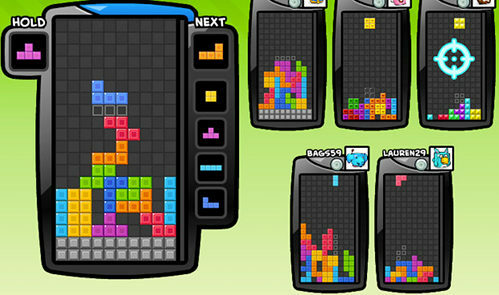 The game is a result of a joint venture between Tetris Online Inc. and Majesco. In my opinion, this is one of the best things that could happen to the Wii (and the DS). Tetris is not only an incredibly popular game, but its one of the best mindless games that are around. You don’t have to remember a host of different commands and you most definitely don’t have to think too much to play the game. Although there is much speculation about the kind of Tetris game that will be introduced into the Wii and the DS, nobody really has much of an idea. I’m sure it will be really innovative like all other Nintendo games have been in the past. Maybe along the lines of Tetris Friends? 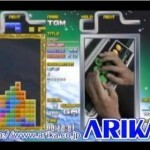 Maybe it will have a fancy interface like in Tetris Party or Tetris Splash. Who knows? All I can say is that it will most definitely be worth it. The new game is all set to launch in the spring of 2010 in North America, and it will probably take a little longer to get to other countries around the world. I predict that this will be one of the more popular buys, especially if its on the wii, I’m sure it will be super duper fun. Keep watching out for more information on the game.